Students should not cause disturbances in the dorms. Students should not privatize public facilities in the dorm for personal use. 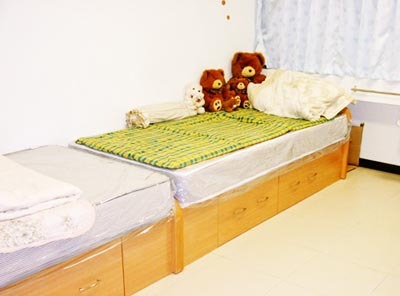 Students are not allowed entry into the opposite gender dorms, nor have overnight guests. 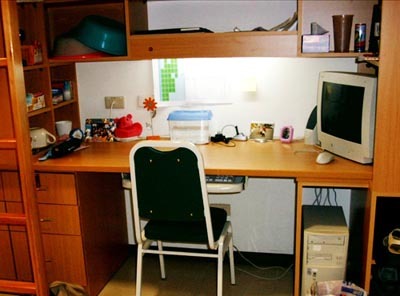 Students are not allowed to move or rearrange the furniture in the dorm rooms. Students are not allowed to use appliances such as hot pots, electric stoves, ovens, toasters, microwaves or extension cords in the rooms. Students are not allowed to keep pets in the dorms. Students are not allowed to have alcohol nor gamble in the dorms. Use the magnetic key card to get into the elevator and room. If you are in Dorm 6, use the magnetic key card to activate the room's electricity. Apply for leave ahead of time if you plan to stay off-campus overnight. Phones are for inbound calls only. Outbound calls cannot be made from dorm phones. Pay phones are available in the lobby of Dorm 6. Bedding, pillows, blankets, bed sheets, mattress. Ethernet cord for using internet in the dorm. 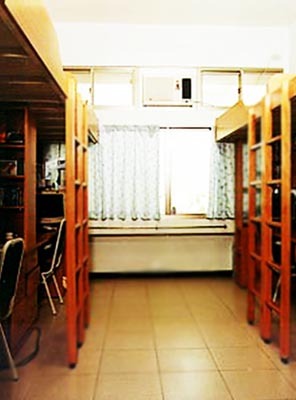 Dorm reservations are automatically made for international students. 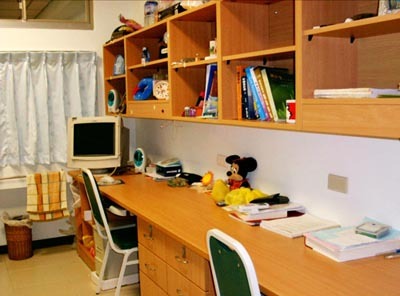 Residence halls have laundry facilities and a TV room. You can rent refrigerators in the room and a kitchenette is available at the end of the 4th floor. For Type A assistantships you will ONLY be provided with a 4-person room, and share the room with other international students.